The Board administers the NIC Practical Exam. You must check the State Guidelines and the NIC Bulletin for exam information. All practical examinations are held at the Board Office. 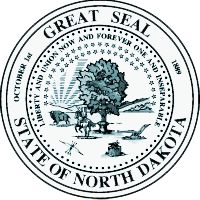 North Dakota Laws, Rules & Regulations, and NIC Theory Exams are all computer based testing. These tests are taken at a designated testing location, not the Board Office. To register to take one of these exams, contact PSI Services at 1-800-733-9267 or at www.psiexams.com. For more information, click on the bulletin link below. All examination centers are equipped to provide access in accordance with the Americans with Disabilities Act (ADA) of 1990, and every reasonable accommodation will be made in meeting a candidate’s needs. Applicants with disabilities or those who would otherwise have difficulty taking the examination should review the candidate information bulletin for instructions or call the ADA Services Team at 1-800-733-9267 ext 6750 for further information.